It’s time to say hello to Absolutely Cultured, the new name for the company which delivered Hull’s incredible year of arts and culture in 2017, a permanent arts organisation, rooted in the city. Led by Creative Director, Katy Fuller, who has been part of the Hull UK City of Culture journey since 2015, and with cultural specialist Lee Corner as the new Chair, Absolutely Cultured has a core purpose to commission and produce a high quality, ambitious and imaginative programme of cultural events for residents and visitors. Since Hull 2017’s programme came to a close, the company has been preparing for this next chapter and has now revealed its aspirations for the next three years as a company made in Hull, but with a far-reaching ambition. Katy Fuller, Creative Director at Absolutely Cultured, said: “In 2017, as Hull UK City of Culture, we invited the city of Hull to get absolutely cultured – and it did, but 2017 was only the beginning. The company’s work will see continued play in Hull’s incredible outdoor spaces and will commission artists who create work that connects people and communities. 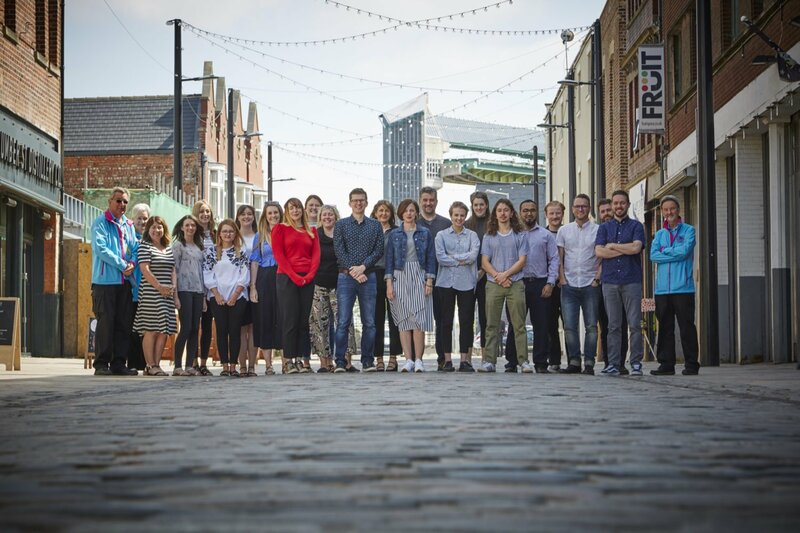 As well as this core programme, Absolutely Cultured will also continue to run Humber Street Gallery and continue to grow and develop the iconic Volunteer Programme. Lee Corner, Chair of Absolutely Cultured, said: “We’re really excited about the future of Absolutely Cultured. Whilst our purpose is to respond to the demand and appetite for imaginative work for large audiences, we can use that to continue to offer ways for people to participate in meaningful ways, for children and young people to have access to creative opportunities and for local artistic talent to be supported and nurtured. Artists will have access to support and development opportunities through programmes such as the Hull Independent Producer Initiative (HIPI), continuing to nurture artists working in performance, while Humber Street Gallery is already promoting a range of events and workshops for local visual artists to take part in. Absolutely Cultured will play an important role in capitalising on the success of 2017, both through its own work and through working collectively with other partners in the city and colleagues across the cultural sector to ensure Hull holds its own as a centre for creativity and culture.